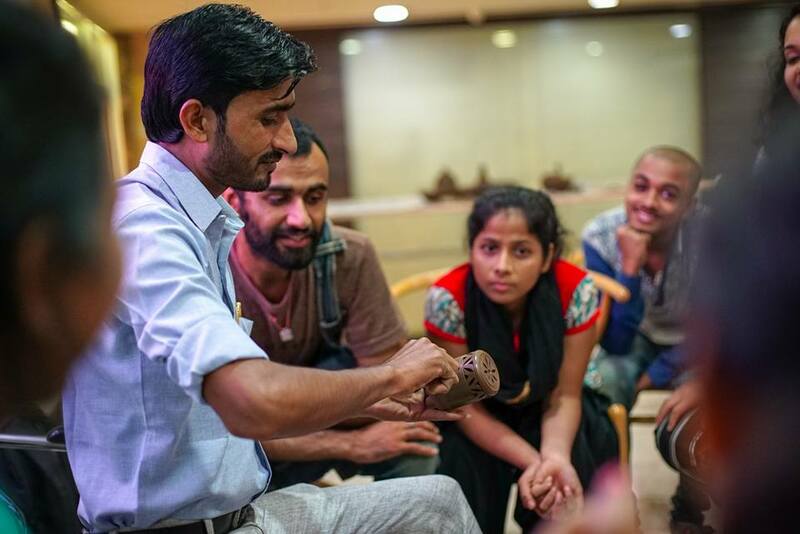 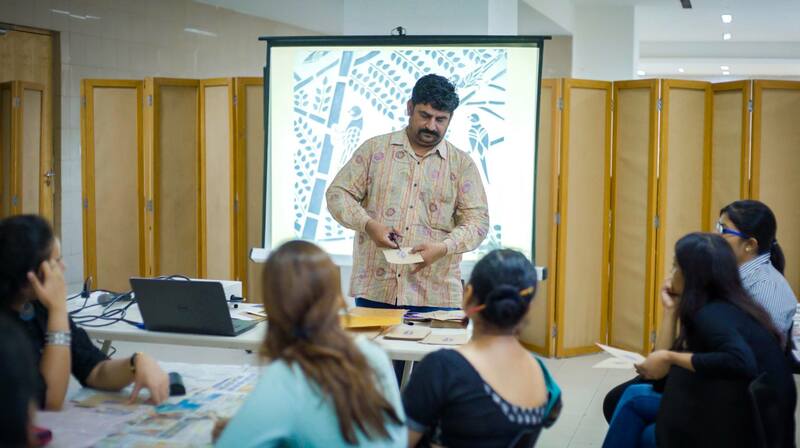 Shilp Katha: A series of workshops celebrating folk crafts of India. 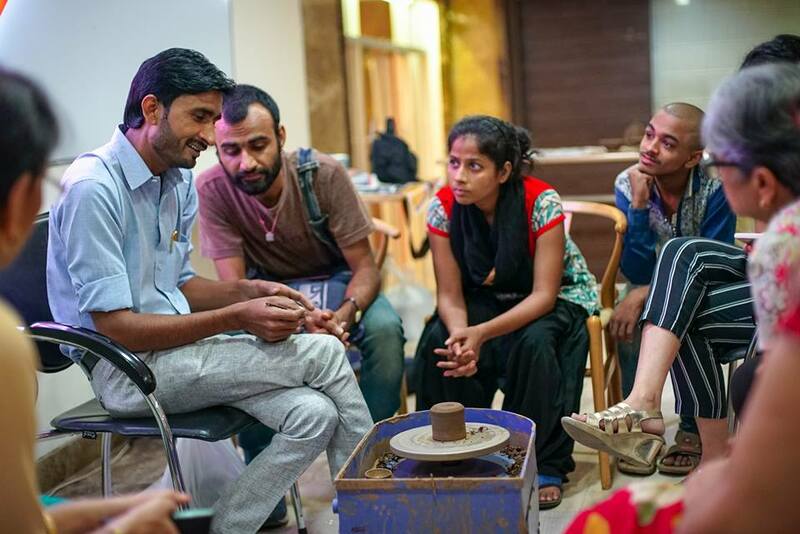 This series of workshops was conducted by 3 national award winner artists Shanti Devi, Ram Soni and Om Prakash Galav. 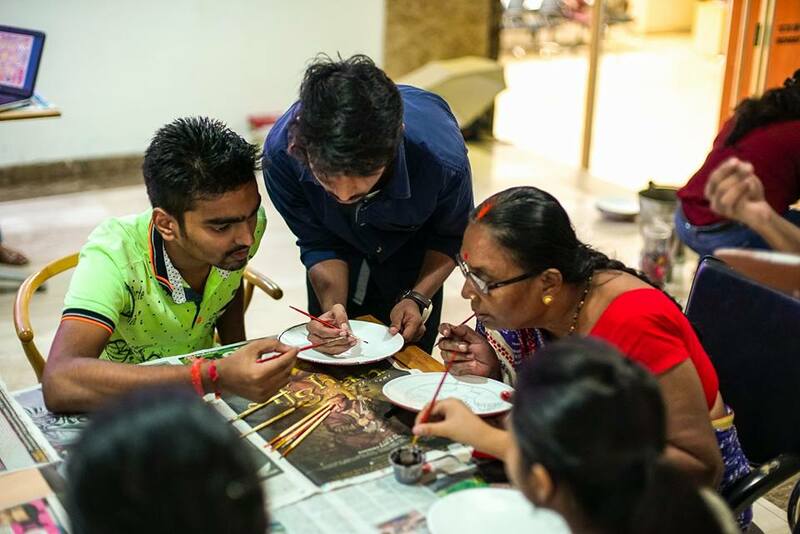 Participants got first-hand experience of the local art forms from the craftsman that have been handed down the skill through generations. 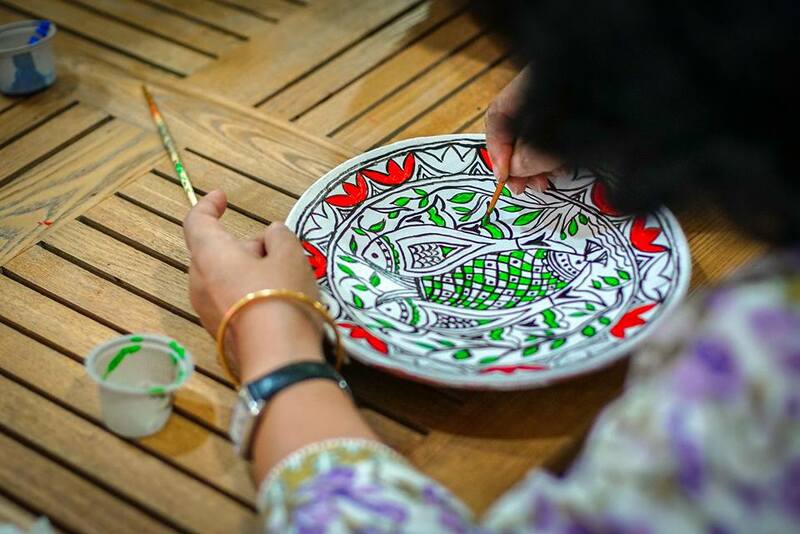 The 16 day Folk School included art forms like Paper Mache, Sanjhi Art, Clay Pottery and Madhubani Art. 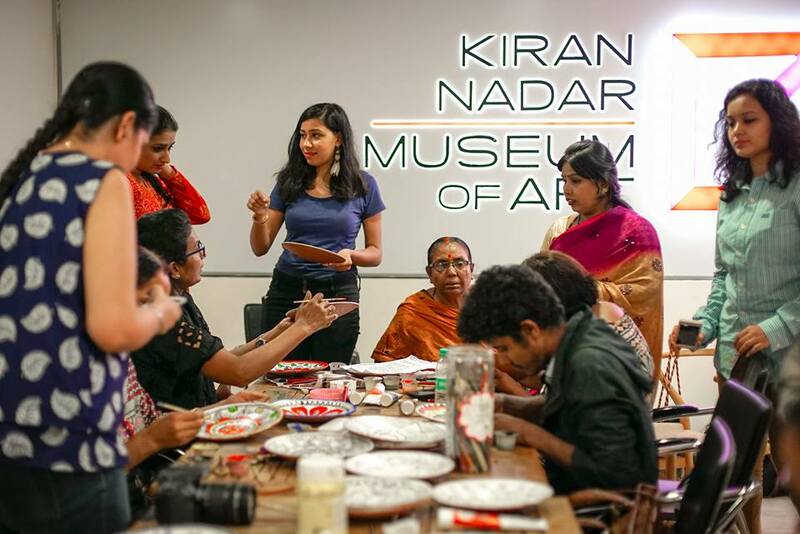 With every exhibition KNMA introduces new range of programs to offer exciting ways to connect meaningfully with the art on view. 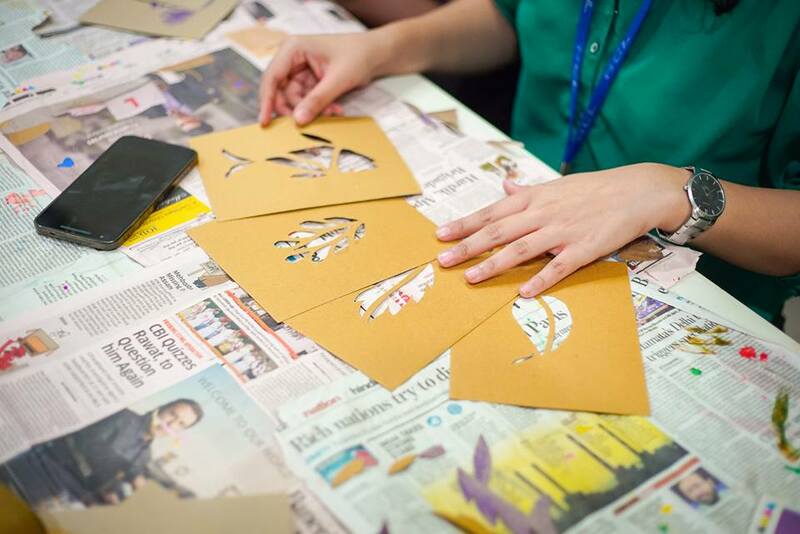 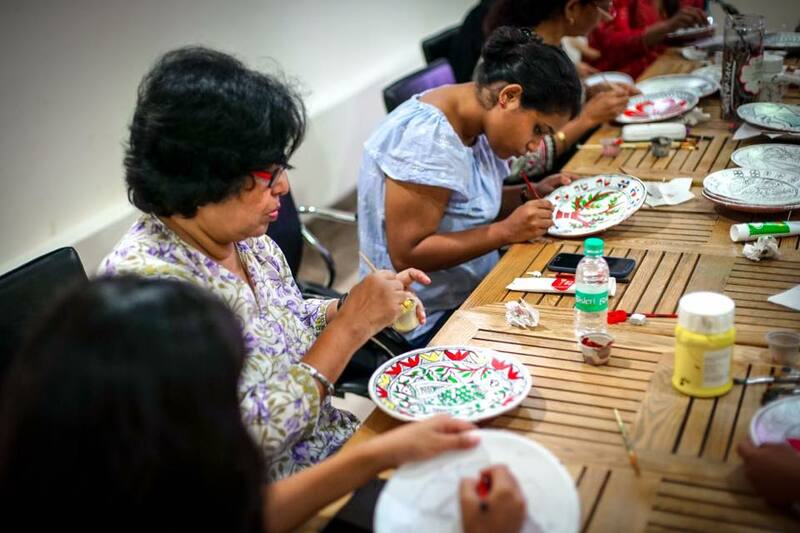 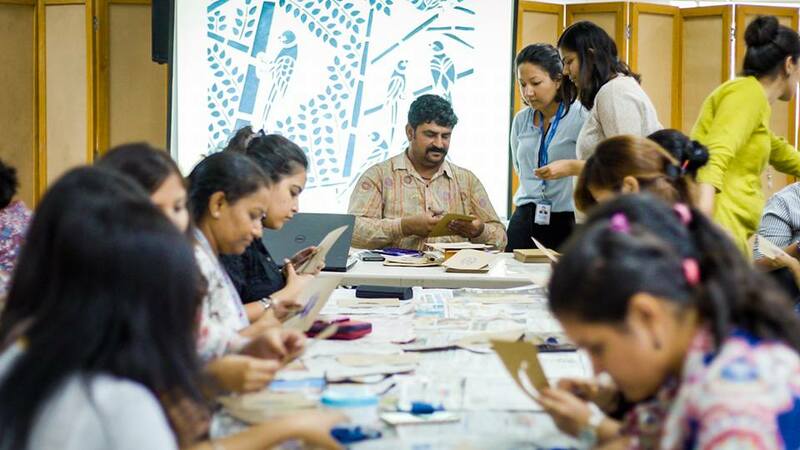 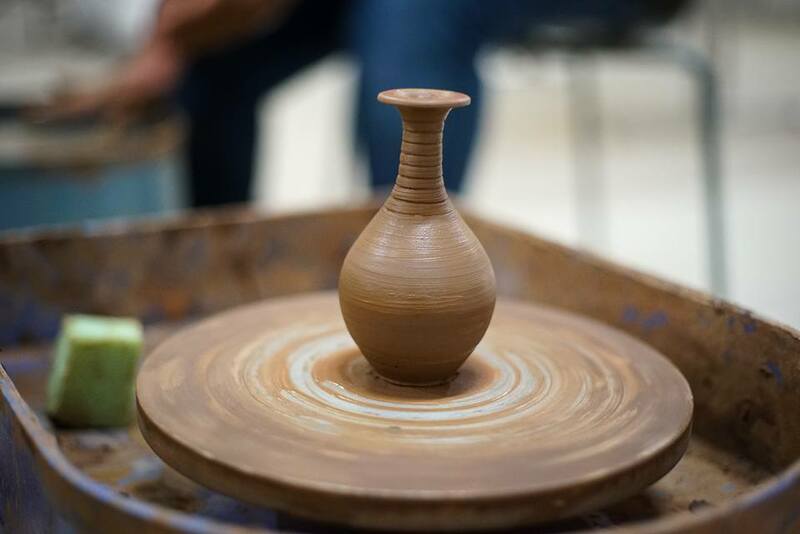 The idea behind the workshop is to give the participants a sense of magnitude and grandeur of the craft, to make them experience the time and effort a craftsman takes to make one unique piece of art.